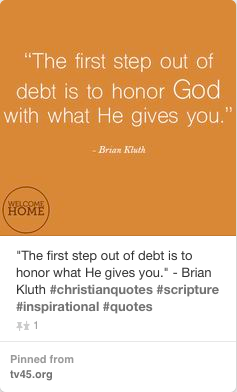 Good Life Broadcasting is a Christian television station in Orlando, Florida. Welcome Home is one of their programs that emphasizes balance between mind, body and spirit and strives to support their audience by “Sharing Christ in Compelling Ways.” The station broadcasts to nine counties in Central Florida, with a potential reach to over 1.5 million homes. During the fall semester of 2015, I had the opportunity to intern with Good Life 45, a Christian television station in Orlando. In the final semester of my graduate program, I was fortunate to be able to work in a virtual environment. I was responsible for assisting with the development and implementation of the social media strategy for the program, Welcome Home. The social media plan was often adjusted according to analysis of marketing data. The goal for Good Life Broadcasting was to bring awareness to the Welcome Home television program and to increase engagement through Facebook and Pinterest. We set a specific goal to grow Facebook fans by 10%. I helped to grow the Welcome Home Facebook page by 24%, surpassing our original goal for 10% growth over a three-month period. I also helped to increase the average daily page engaged users by 10.5%. Because the page was fairly new when I came on board, there was very little content or consistency. This was the first area for me to improve upon. I helped by building a strategic post calendar through Facebook and Hootsuite with memes I created as well as other owned content like recipes and video teasers to promote weekly programming. 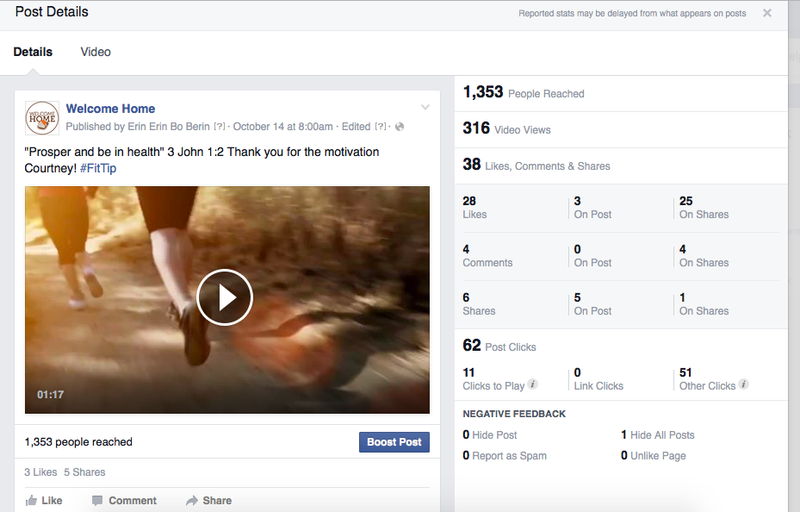 Videos were uploaded natively to take advantage of all of the Facebook benefits like auto-play. Cross-promotion, boosted posts and videos helped to yield the greatest results and were used whenever appropriate. This post, for example was able to obtain an organic reach of 1,353. Most of our posts only saw reach that high after being promoted but this one indicates that I found a sweet spot with a video from the Fit Tip segment. Leveraging these will help increase reach and engagement. Shares increase reach beyond the users audience but all interactions help boost engagement overall. Pinterest was seen as an important platform for reaching the Welcome Home audience where they spend a lot of time. The Pinterest page was not developed prior to my internship, so I built it from the ground up. I created many of our pins from owned content such as memes, recipe cards and YouTube videos of programs and have built the remainder of the boards with content from other sources. Throughout the semester Pinterest received good engagement but did not prove to be an area justifying additional resources of time or money. It is an excellent platform to host content Welcome Home creates for programs and social media. 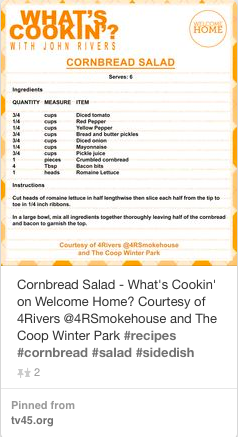 Until it is seen that Pinterest is increasing traffic to the website, no additional content beyond recipe cards should be created specifically for it. 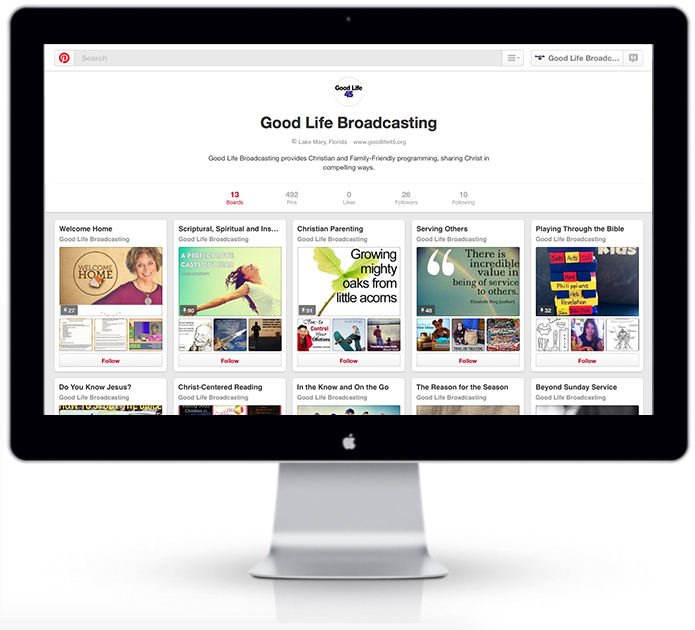 The Good Life Broadcasting YouTube channel was used as a source for content to be shared on Pinterest. The channel lacked organization, descriptions and tags. I helped to organize the videos to be used for social media by creating a Playlist. I added descriptions and tags to everything that was to be shared. Below are some samples of the memes I created for Facebook and Pinterest using Photoshop.